There are many reasons to use a pushcart while playing golf. You get to walk the course, you can carry all kinds of gear, and it is cheaper than power carting. I have been using a pushcart now for about 3 years and haven’t looked back one bit. I like to play 36 holes on any given day and hoofing it with 20lbs+ of gear on your back is extremely tiring and difficult in the summer heat. But using a pushcart I can easily get in 36 holes or more. When I was younger, the only option was a 2-wheel pull cart. That was actually worse than carrying my clubs. It was such an uncomfortable angle on the shoulders. 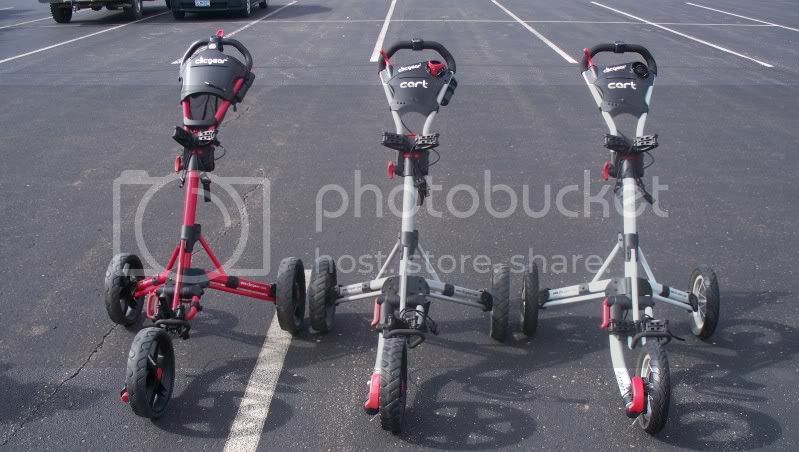 The 3-wheel pushcart made a huge splash on the scene and made walking enjoyable again. 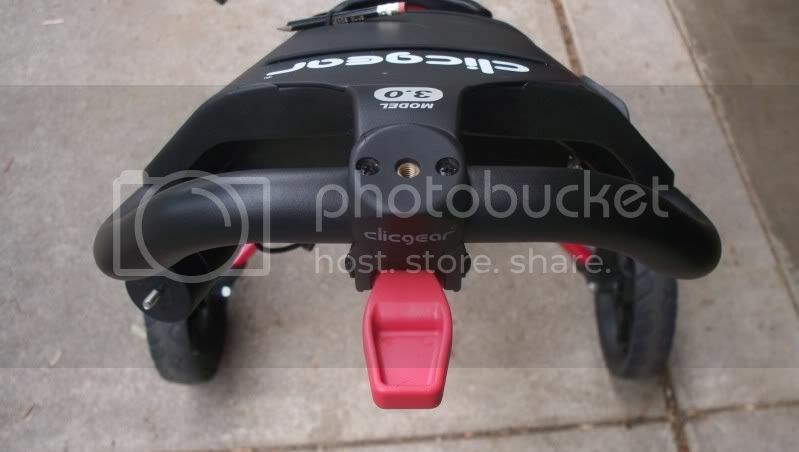 In 2007 Clicgear entered the pushcart market with, in my opinion, the best pushcart period. That was version 1.0. I have been using one since then. I had yet to find a better cart to replace it. The 2.0 was good, but I couldn’t find enough reasons to upgrade. But the 3.0 model has changed my mind. I think there are ample improvements to make one seriously consider upgrading to Clicgear 3.0. I think there are 3 main reasons to upgrade to Clicgear 3.0. The first would be the improved console area. This is definitely an upgrade from versions 1.0 and 2.0. It is very deep and wide. It fits any rangefinder, wallet, cell-phone, sunglasses, etc. and depending on what items you have, you can probably get more than one in this glove box. 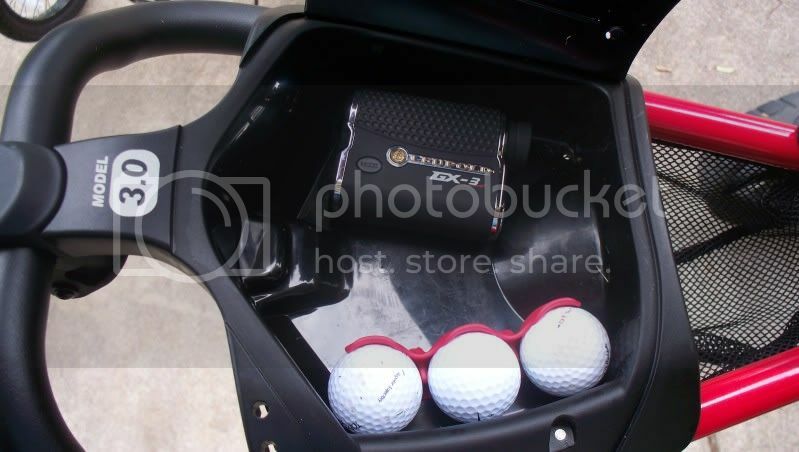 It also has a great 3 ball holder down one side. This too, is much nicer than the little groove in previous versions. Probably the most popular feature is the net below the console. At first I was a little skeptical how much I would use it, but after 5 rounds I found that I use it all the time. I throw in headcovers, keys, wallets, balls, water bottles, or whatever I need to just get out of my hands quickly. In connection with the console, the beverage holder is now a clip on attachment to the side of the main handle. There are 3 tabs for interchangeable accessories. The umbrella holder also has place right under the handle. Wrapping up the console area is the new grip on the handle. It is much firmer and much more durable than the softer previous material. It repelled water, rather than soaking up rain. The second would be the brake. Versions 1.0 and 2.0 used the same braking system, while version 3.0 uses a flip up brake verses the pull and twist brake. The locking part down at the wheel is the same, but the lever is much better. The only danger can be if you are not paying attention, you can get jabbed right in the stomach with the lever. But the old system was dangerous too when you went to push the cart and forgot the brake was locked. The other part of the new brake that I didn’t care for was the location. It flips up right under the umbrella mount, which is also where my GPS mount from Clicgear sits. I can’t use both. They say there is a new GPS mount coming out soon. The third would be the wheels. 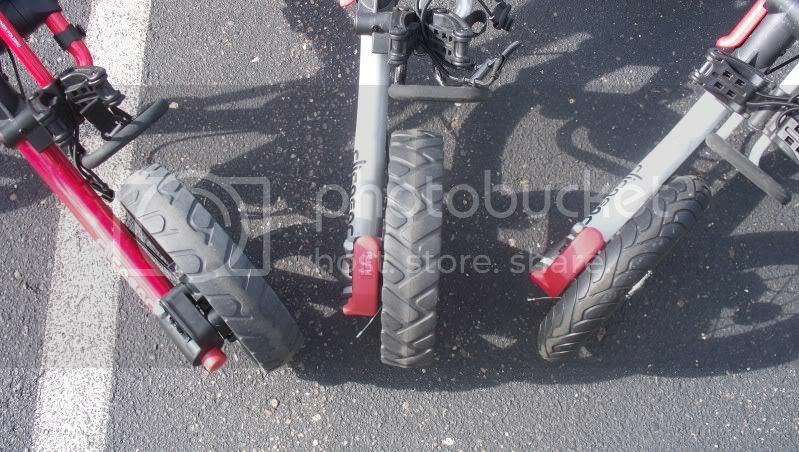 Clicgear 1.0 had pneumatic tires that worked very well for me over the last 3 years. I would check them at the beginning of the season and never worry about them the rest of the year. But I can imagine that there were many a headache for people upon arriving at the course with flat tires. Versions 2.0 and 3.0 have very similar tires. They are a wide solid core tire. The tread pattern on the 3.0 tires is designed in a way to roll smoother while picking up less grass and dirt compared to the 2.0. I found it to push with the same effort as Clicgear 1.0. While the new tire might not be as fast racing down the hill (which isn’t always best anyways) there is no difference in effort to push or smoothness of ride. The other changes are nice too. They mostly deal with the various levers to open and close the cart. 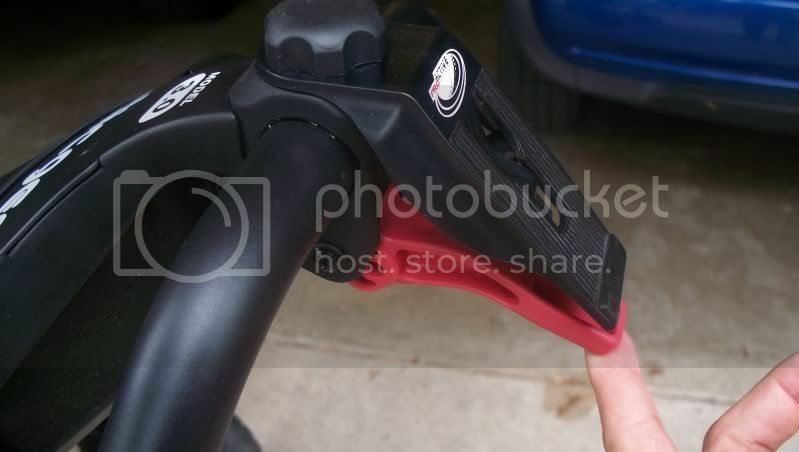 The front tire lever, which allows the front tire to twist for its compact shape went from a squeeze lever to a push button. It seems minor to me, but is very easy to use. The next lever is the main hinge lever, which is probably the biggest improvement. It is a full loop style handle. I found this much easier than previous versions. 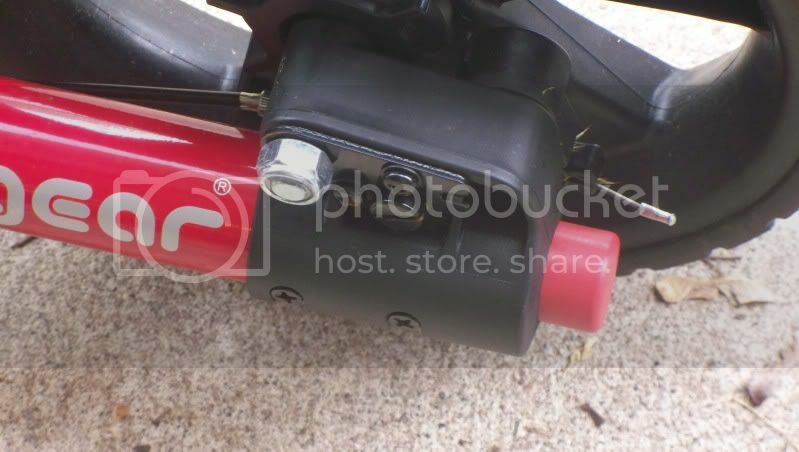 The final change is the lever near the handle making the connection to the cart. This lever too is much safer and flatter for easy use. 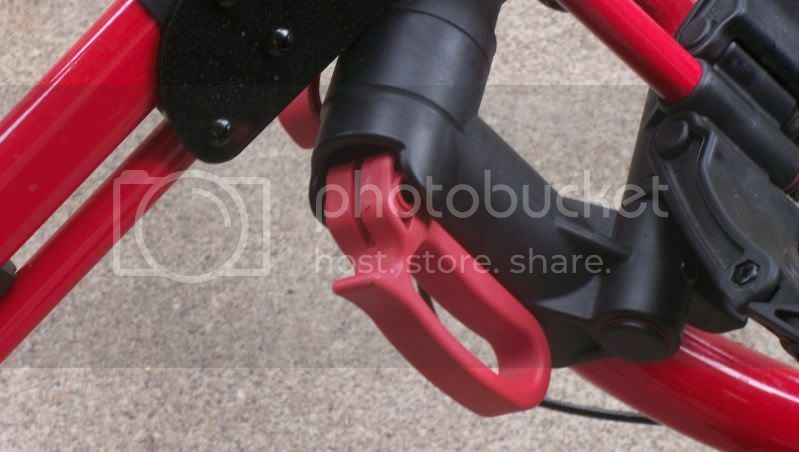 The best is that the new handles lock the cart in place when folded. It really is a tight secure box when all folded up. I believe Clicgear produces the absolute best cart on the market. I also think version 3.0 has many reasons to get the upgrade. All the reasons mentioned above are what make the 3.0 models the best, but still the seller for me would have to be the size. The ingenuity to make such a solid, big, balanced cart unfolded, capable of folding up to fit in the boot of my MINI Cooper is what sold me from day one. It is simply a perfect fit and size for my car. Every version has had that same small folded footprint, yet perfectly balanced and solid feeling unfolded. I easily found 3.0 reasons to get a new Clicgear. Now I just have to decide if it's worth it for me to pick one up. I only walk the course about 6-8 times a year. The other times I use a powercart. I'm debating whether or not to stick to renting the carts for 5-7 dollars a time, or purchasing a clicgear and hoping that it will last be a long time to get the payback needed. I Agree. The OP posted a nice review. 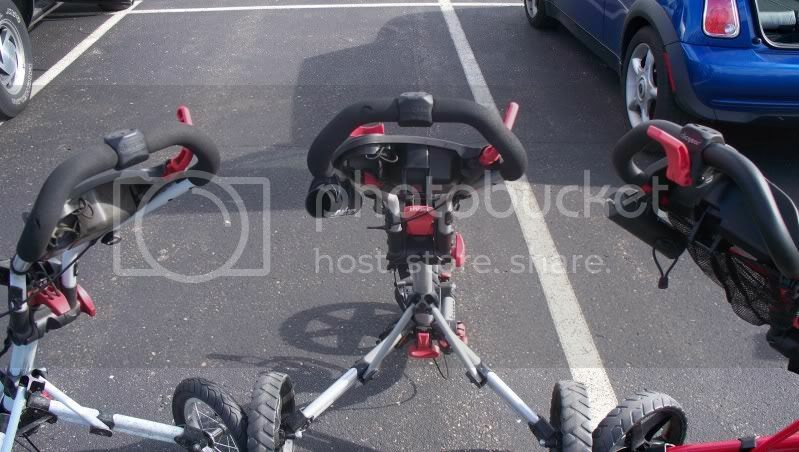 If you're debating on buying a pushcart, I'd vote yes. First, you may find yourself walking more, which is always a good thing. And second, properly cared for, these carts will last a long, long time. So even at your current pace these things will be amortized in just a few years. Personally, I have a Sun Mountain V1 which I love. I have added the optional seat and the [size="-1"][color="#000000"]Speed-Paq Pouch[/color][/size] thing. If cargo space is not an issue, check out the SM's. For the record though, two Sun Mountain carts take up the same trunk space as two Clicgears.... They nest. One more thing.. Love the Mini !!! Ya got the right color and everything! 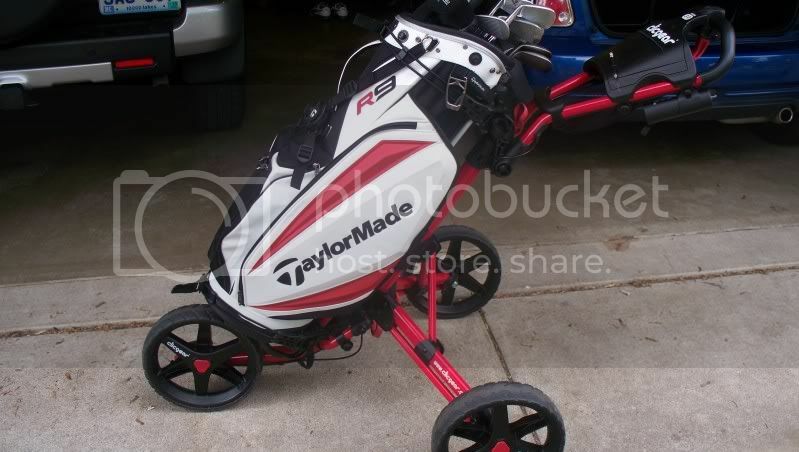 Wouldn't you just love to strap your bag to that and use it as your golf cart? I was seriously considering a Smart Car until I got one as a rental in NYC. Yikes! It was scary wheeling that thing around! Thanks for the input. It looks like I'll be picking up one this weekend. If they would let me I would seriously consider driving my MINI around as a cart /partytime2.gif' class='bbc_emoticon' alt=':partytime2:' /> But then again, I'd really rather not put it in harms way. Golf ball dents are not cool. If they would let me I would seriously consider driving my MINI around as a cart But then again, I'd really rather not put it in harms way. Golf ball dents are not cool. Duck droppings inside your car aren't cool either. 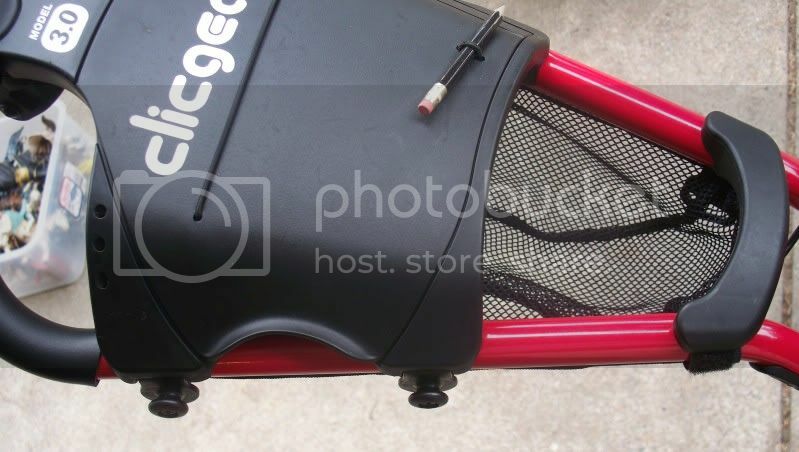 You may want to invest in the Clicgear wheel cover....you have too nice a ride not to. Good assessment. I have the first iteration, and replaced the wheels. It has served me well, and I think it was almost perfect. The 3.0 does look like the final word on improvements. Though I use a gps... With the net, i guess I could just toss it in there. I am seriously pondering one of these! I typically drop one of the backseats flat, then slide it right in. Otherwise I put my bag in the passenger seat sitting on the floor. I've done road trips with a buddy. We can get two bags across the back with the seats down. Then 2 clicgear carts and even backpacks and a cooler. Surprisingly decent amount of space. Not a 4 person golf car, but 2 ride pretty comfortable. I was just kidding... 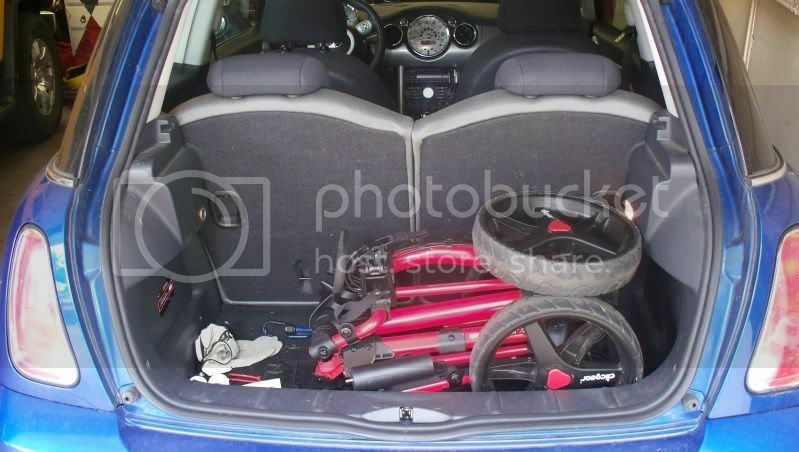 I used to own a MINI; and was able to fit unimaginable things in that car. Love my 3.0. I literally can fold it down in under 2 seconds, push the button and flip lower lever at sametime, as im standing up hit the last leve and fold it down and pick up. Took me longer to type than it does to fold down and fold out. Though I use a gps... With the net, i guess I could just toss it in there. I am seriously pondering one of these! 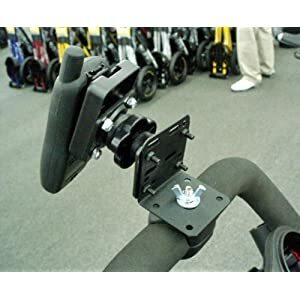 I'm pretty sure they make universal brackets to mount the GPS to the handle bar. This way you just look at it and go, no fishing it out of the net. I received a 3.0 for fathers day- got to use it yesterday..I must say pretty dam sweet! Hopefully the new one they design will look a little less homemade and complicated. That one looks dangerous with all the bolt ends sticking out. The GPS accessory is the one I am most looking forward too. OP's review was nice. I have a SMV2 cart and really enjoy it. It's big, but I have a Mazda hatchback and Armada SUV so space is never an issue. I prefer the air-filled wheels because they roll so smoothly. I have an auto airpump so filling 1-2 times a season takes about 2 mins. I would have considered a CG3.0 if they had air-filled wheels. I like everything they've done except go away from airfilled wheels. Got my black CG 3.0 for Father's day also. Took it out yesterday morning, and it is su-weet! My wife found it on the Bay for a "Best Offer", and ended up paying $159 and that included S/H, no taxes. 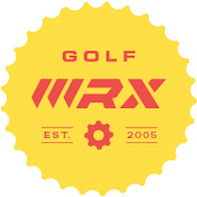 Discount Golf World is the bay seller. Awesome review, makes me even more certain that I want one. In connection with the console, the beverage holder is now a clip on attachment to the side of the main handle. There are 3 tabs for interchangeable accessories. The umbrella holder also has place right under the handle.